What makes Max Tree Services different from other tree loppers in Melbourne? What’s best for the health of the tree? What’s best for the health of the surrounding garden? What details do you need to make an informed decision? Max’s philosophy is simple. He’ll give you the most honest advice, so you get the best result for your garden. Sometimes this means starting reparation work to fix the soil, or nothing will grow strong and healthy. Sometimes it means trying to improve the health of the tree, with removal as a last resort. Whatever the situation, you’ll be provided with a detailed quote that outlines the services required. Engage the experts and protect your home, assets and livelihood when removing trees from your property. Get the job done cleanly and efficiently with the greatest of care to your remaining garden. Removing overhanging branches, sick and diseased trees, or dead wood all require qualified experts to ensure there‘s no damage to surrounding property or vegetation. Not all trees like to be pruned the same way at the same time of year. Make sure your trees are looking their best with a tree pruning and maintenance program. You don’t need to be Edward Scissorhands to have a beautiful looking garden. Let Max and the team look after your hedging and shaping needs. Minimise the maintenance and the risk of termites, disease and infection, by grinding down the stumps in your back garden. Whether it’s having your garden looking neat and tidy, or reducing your water consumption, Max’s mulching sales and service help reduce waste for a healthier environment. Satisfy council requirements for the health and safety of the trees in your surrounding area. From land clearing to regular maintenance works, Max has you covered for your business or land development. Don’t risk damaging yourself or your footage retrieving your drone or RC. When it’s too high to reach, it’s time to call in the experts. Possums are both cute and destructive. They’re also a protected species. Installing possum guards helps protect your plants against these hungry marsupials. Heritage trees or trees of significance can benefit from cable bracing when canopy weight and structural weaknesses are causing the tree to crack and fail. A visual assessment of the trees on your property to check for potential hazards and risks. Know what to look for and how to address the issues. If you have trees near power or tram lines, you must call in qualified experts to remove the branches to safe distances. Often a sick tree starts with imbalanced soil. Protect the trees on your property by testing and maintaining soil health. Want to know what trees grow best in your area, or attract the native fauna? Identify what’s already in your garden and what’s best to plant. How can tree loppers promote rehabilitation and conservation? Cutting down trees is a necessary part of Max Tree Services, but it’s not their favourite part. They’d much prefer to be creating ecosystems than tearing them down. Often, they’ll turn up to properties where the trees are dead or diseased and are now a hazard. Sometimes trees need to be lopped for other safety reasons, including creating firebreaks for the summer season. Sometimes it’s just that the wrong tree was planted in the wrong place and now needs to be removed. Whatever the reason, for every tree that is removed, Max offers a more suitable replacement to be planted on your property. They offer a one for one replacement from their own native stock, grafted and cultivated by Max. This isn’t just about being a nice guy. It’s about preserving the industry and creating a sustainable future. By offering a suitable replacement, it helps protect the habitat of native fauna, encourages greater natural growth and increases soil stability. Max also includes a free maintenance plan to check on the growth of the replanted trees. The health and quality of the soil is such an important part of healthy tree development. It’s why Max Tree Services offer a soil assessment as part of their rehabilitation packages. Without decent soil, any trees planted will struggle to grow into healthy, mature specimens. Soil conditioning returns the soil to its optimal health by activating dormant bacteria. This creates a greater chance of long-term success. Soil health is the key reason that Max Tree Services only use bio-oil for their chainsaws and equipment. Bio-oil prevents the contamination of soil, plants, waterways and skin. When the team from Max’s have finished on your property, it’s left so you would never know they were there. All pools are covered so they don’t get filled with leaf litter, mulch and debris. All rubbish is cleared, and Max’s is a smoke-free environment, so there are no annoying cigarette butts being stamped out and left in the ground. Not only experts at removing trees and plants from your property, Max looks to make sure you have all the information you need to get the best advice. Here are a few of the most frequently asked questions to help you get started. All quotes are completed electronically. Using the latest technology, they record tree location, tree health, photos and other details onto their system. No mud maps on a scrap of paper here! The technology allows Max to keep a highly accurate record of works on your property as well as a detailed history and maintenance program for the health of each tree. Max Tree Services accepts payment either over the phone or electronically on-site. What safety equipment do you use? Safety is paramount on any site and the team at Max’s complies with current safety standards for equipment and PPE. This includes clothing and footwear, head, ear and eye protection, safety harnesses and spotters. Can you help me with my permits? Each council requires different applications and permits to remove significant trees. 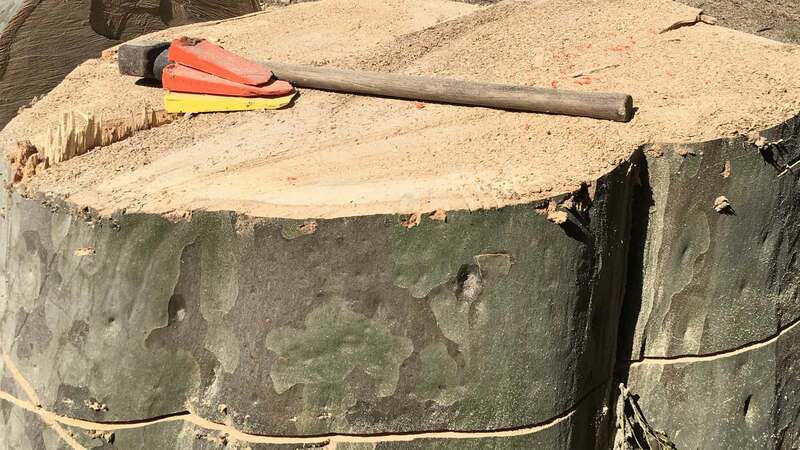 It’s essential that your arborist or tree lopper is familiar with the differences for each council, as well as the expected waiting times to receive the permits. Max Tree Services will take responsibility for all your planning permits with council from start to finish. Max Tree Services is fully insured to the value of $10M with unlimited height restrictions. You can rest assured your most valuable assets are protected from unexpected events. Blessed with a healthy and happy family, Max Tree Services is a generous supporter of the Make A Wish foundation. 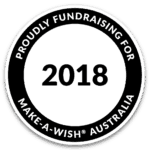 A percentage of each job is donated to this not for profit organisation that provides seriously-ill children between the ages of 5-18 with opportunities for hope, joy and resilience to keep fighting. We highly recommend Max Tree Services. Max, Emma and their team were very professional. From the initial assessment of the work to be done to the completion within the agreed time frame, they were very friendly and courteous. Our garden was left clean and tidy after the extensive work: removing a large tree, removing the stump and trimming additional tree branches. Max's Green Tree service recently removed 6 dead trees from my property. I was very happy with the degree of expertise and professionalism showed as well as the fact that he was a very nice person to deal with. The cost was amazingly reasonable and I would not hesitate to recommend his business. Max gave me a fair and competitive quote. Cheaper than most but as good as Tree fellers I had working for me in the past. His team started as promised and did an efficient and clean job. Can recommend Max Services and would use them again next time. Max was one of the first to reply to my enquiry, he attended the property and discussed what we needed. He was courteous, organised and committed and he and his team provided an excellent service in removing 10 huge cypress trees without a problem in minimal time. He also surprisingly took the time and effort to meet and discuss the removal with the neighbours at the back. I will be engaging him for landscaping services as well. Highly professional, courteous & performed job to my satisfaction. Thank you to Max & his team. Really quick and professional job, would recommend them to others. Max is very professional and courteous. They completed a huge job in a short amount of time in a bad weather condition. Excellent work, good value for money, punctual and professional.